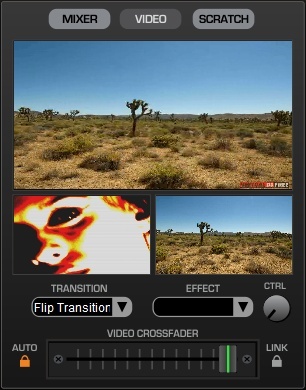 The simplest way to integrate Visikord with Virtual DJ is to run both on the same computer, and with a single mouse click decide if the Virtual DJ video or the Visikord Video will be sent to the big screen. 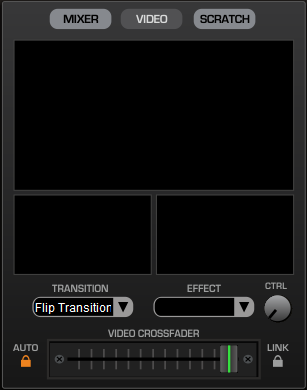 This is also a safe way to run both video and audio on the same computer because Visikord runs as a separate process and cannot crash Virtual DJ in any way. Every 15-20 minutes to half hour or so you can switch between Virtual DJ video mixes and Visikord: when Virtual DJ video is on, the audience watches your video mixes, and when Visikord video is on, they play with the interactive Visikord video scene. You need a good laptop for this combination — Intel core i5 or core i7 CPU with NVidia or ATI graphics card. Settings (F5) -> System -> VJ console enabled (external monitor)” to YES (restart if was NO). Visikord will show on the main screen; press F2 or F3 to start it. Next, run Virtual DJ. Virtual DJ will automatically take over the external monitor/screen. 2. Show the audience your video mixes with Virtual DJ videos for some time. (Left side of the screenshots below shows the laptop, the right side the external monitor/screen). 3. When ready to switch to Visikord, right click on the “Video” pane of Virtual DJ. It will go blank, which means Virtual DJ has disabled its video. 5. To switch back to Virtual DJ video, right-click on the Virtual DJ pane again to enable Virtual DJ video. 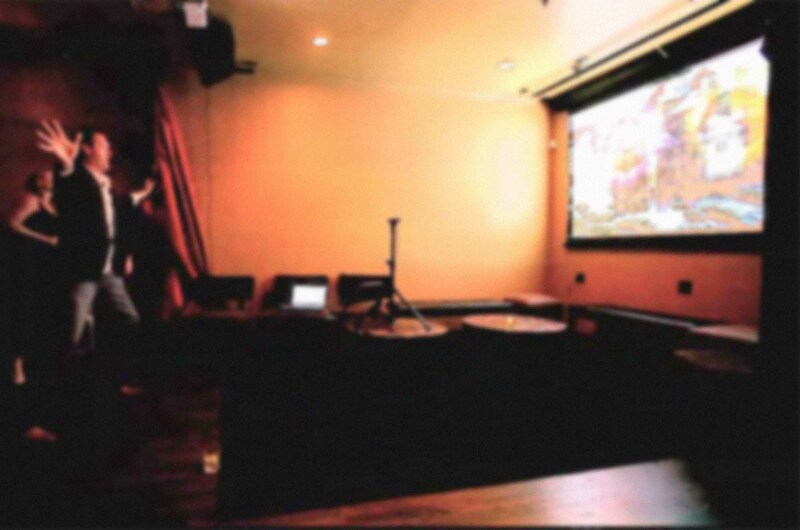 Visikord will disappear instantly and Virtual DJ video will be back on the big screen. For detailed instructions (which options to activate with Visikord, please refer to the Visikord User’s Guide, section on use with Virtual DJ).